The art for the cover (pictured above) and booklet was created by Christophe Dessaigne, a talented new artist whom we discovered (quite by chance) while browsing Flickr. Coincidentally, it turned out that Chris is an Ayreon fan, and was thrilled beyond belief when we asked him to do the artwork. 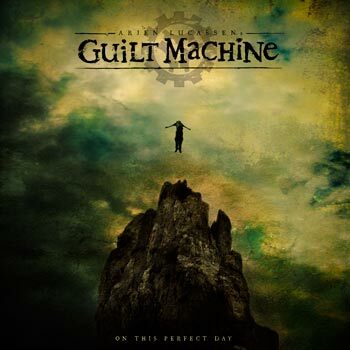 The Guilt Machine logo and packaging layout were created by Thomas Ewerhard. 28th of August? A couple of weeks later then Arjen wanted, IIRC, but not too late. Until then, I'll eagerly await those samples due next week. The covers looks cool too. I'm also wondering if the album title and perhaps some of the songs/lyrics have been inspired by the book "This Perfect Day" (good book by the way, http://en.wikipedia.org/wiki/This_Perfect_Day). Would be quite like Arjen after all. It would be quite unlike Arjen because as far as I remember he told he usually doesn't read books. That's why Star One was based mostly on sci-fi movies and not books. Yay! The cute guitarist, Lori Linstruth, is back! as far as I remember he told he usually doesn't read books. I'd say that's a good thing! The artwork looks amazing! Really looking forward to this one! 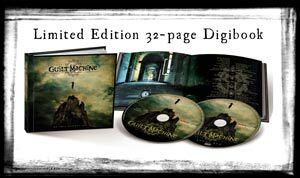 Guilt Machine, Arjen Anthony Lucassen's new project. That looks exciting! I will have to check out Guilt Machine. I have a profound respect for Arjen Lucassen; he is a great leader.